CA PPM 15.5.1 is the latest release in the software’s life cycle and is packed full of new features. Greater support for ‘Modern Ways of Working’ with the ability to add due dates and owners to To Do’s within a Task as well as the introduction of a To Do Scoreboard. The To Do Scoreboard allows managers to interactively monitor and update To Do completion status across virtually any enterprise initiative. Demand management in the modern UX with the ability to import, link and sync custom investment types in your roadmaps. In addition to this, we now have the ability to configure the layout of the Details page for custom investments via blueprints. 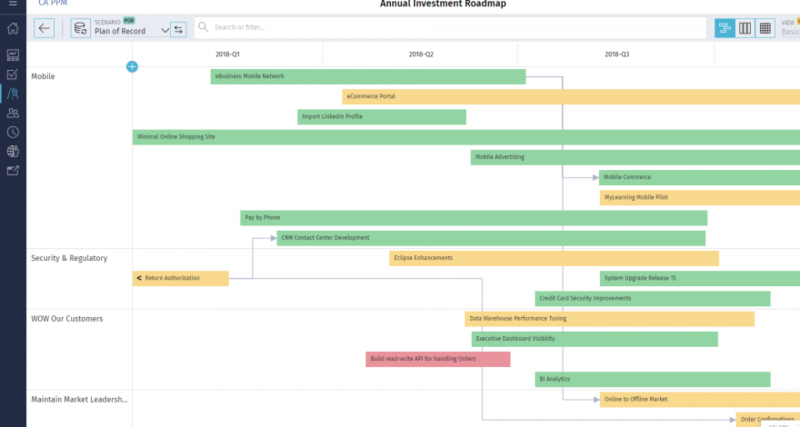 Continued evolution of our industry-leading roadmapping solution with easier access to managing picklists and ability to hide or show columns in the roadmap item board. More out of our Project Management transformation efforts, including the addition of a Project-based task grid, the capability to configure project subobject grids via the project blueprint, and the inclusion of a way to hide or show columns in the project task board. Various items in response to customer demand including easier deletion of investments with posted transactions and timesheets to facilitate records retention compliance, the addition of Teams data to the data warehouse, and the availability of two new PMO Accelerator reports for Project KPI Trending and Roadmap Timeline. We encourage you to visit the CA PPM product information page at CA Support Online for more information. In addition, the full product documentation can be found at https://docops.ca.com.